The founder of McLaren International, Matthew has over 20 years of experience in the hospitality and technology-related industries, both in Australia and internationally. Matthew is responsible for the strategic direction of McLaren International and oversees all aspects of the commercial side of the business including sales & marketing and business partner management. Matthew holds a Bachelor of Hospitality and has worked for a number of leading hotel companies including Omni Hotels, Le Meridien Hotels and Resorts, Starwood Hotels and Resorts and Gazebo Hotels. Matthew’s hotel experience includes senior placements in Australia, Singapore and the United Kingdom. 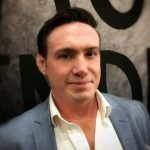 Following his move in 2000 into the technology vendor side of the hospitality business Matthew joined inter-touch, a global leader in high-speed internet access solutions for the hospitality industry, as the company’s Director of Sales, Asia Pacific in their Singapore office. Matthew then went on to hold several positions at FCS Computer Systems, a company providing a range of voice and data solutions to the hospitality and related industries. While based in the company’s Australian headquarters Matthew travelled the globe in his most recent role as Group Business Development Director. Matthew brings a unique perspective to McLaren International: having worked extensively on both sides of the hospitality business he knows that only ‘best of breed’ solutions supported by the type of service the very best hotels extend to their guests will perform effectively to maximise your business. Paul is the owner / founder of Space Management Services (SMS) which offers a variety of exciting spaces, products & services to an ever diversifying clientele. 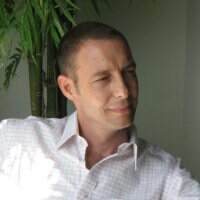 Prior to setting up the SMS group Paul ended his 13 year term in late 2012 as CEO and co-founder of Easy (Ez) Revenue Management Solutions, headquartered in London, United Kingdom. Previously Paul served as Senior Vice President of the TIMS Corporation (Optims) from 1994 – 1999 and helped lead this organization to become the European leader and supplier of Revenue Management Solutions & Services to the hospitality industry. 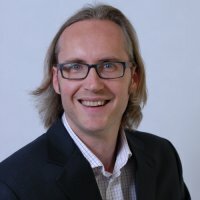 Trained and educated within the business & hospitality sectors, Paul is widely recognized as not only one of the leading CEO’s of this era but also as one of the genuine experts in Operational Revenue Management & Demand Forecasting techniques. Paul succeeded in combining his diverse business expertise with the latest innovative ASP technologies, the EasyRMS client portfolio grew to almost 1,300 hotels under his leadership until the company was sold to a private US technology giant at the end of 2012 in a record all-cash deal. Marc has been involved with McLaren since its foundation, and has been responsible for many of the more complex and tailored implementations predominantly in the areas of guest interaction and creating ROI for HSIA. 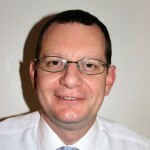 Marc has over 20 years experience in Information Technology and Telecommunications, the last 15 years focussed specifically on technology solutions for the Hospitality industry. In his role as Director of Technology he is working on a number of innovative in-house product developments to complement McLaren’s suite of industry leading SaaS products, he is also working together with Matthew White and Matthew Watson to define corporate strategy and growth opportunities. Marc has worked with many of McLaren’s premium clients on tailoring solutions specifically for their needs and integrating with their existing systems, maximising functionality and streamlining guest interaction. A particular focus has been the creation of strong ROI for our clients in the HSIA area. for some of the biggest operators in the world. He has held roles across Europe and the Asia Pacific region, managing highly complex implementations for clients such as SingTel, Shanghai Telecom, Korea Telecom, and Telstra. He has excellent strategic vision and specialises in integrating multiple discrete systems into coherent, elegant solutions for our customers, always with the goal of maximising return on investment. Since joining McLaren International in 2008, Ed’s skills and experience with project & process management have been key to formulating core processes within the company, streamlining the management of project components with customers & project vendors. His efforts have enabled McLaren to ensure the successful implementation of project deliverables and training requirements more efficiently and more reliably. Ed’s re-engineered processes continue to significantly enhance collection of critical information as well as guaranteeing superior integrity of various project components. After honing his customer relations skills through a long retail management career with the Coles Myer Group, and the completion of a Bachelor of Business Programming degree in 1999, Ed shifted his career path to the corporate world. Ed joined a large multinational with a role focussed in the review, management and implementation of internal processes through a range of communications and date-driven projects across the corporation’s operations in 48 countries. In 2002, Ed’s career focus moved to concentrate in the field of hospitality technologies with FCS Computer Systems. Ed took on the role re-engineering all project processes from internal software control to installation, resulting in major advantages of both time and greatly reducing previous reliability challenges with data by moving from mainly manual to automated processes. His efforts in these areas directly leading to significant savings including up to 90% reduction in time requirements and guaranteed data integrity in many project components. Ed’s keen interests, extensive experience and skills in process improvement continue to benefit McLaren’s customers throughout the company’s world-wide activities. Michelle joined McLaren International in 2008 and is responsible for Human Relations, Media & Finance for the Group. 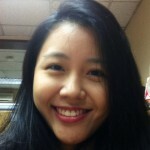 Michelle splits her time between Sydney and Singapore managing office operations in both locations. Her responsibilities include contract management, accounting, customer surveys & media relations. In addition she is in charge of and implements office policy. With a background in Finance, Michelle has worked in both Sydney and New York in Accounting, Management and Finance positions. Prior to joining McLaren Michelle managed the office and finance business for Brett Design Inc, a New York based Interior Design firm. Within that role she was responsible for accounting, contracts and customer relations. 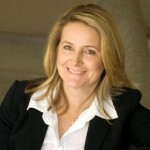 Earlier in her career Michelle worked at Prudential-Bache Securities in Sydney, Australia on the high yield bond desk. 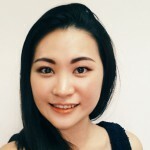 Tami joined McLaren in 2013 from Marina Mandarin Singapore where she was a Sales Manager and among her other responsibilities, she was tasked with developing corporate accounts from Europe and Asia. In her career so far, Tami has gained invaluable exposure to hospitality sales and marketing, corporate accounts management, e-commerce and revenue management. 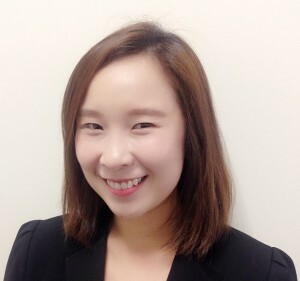 Coupled with her experience of customer relationship management and her time working with the Singapore Tourism Board, Tami has quickly adapted herself at McLaren Technologies targeting the different property chains and opening new markets such as Myanmar and Japan. Tami has quickly moved through the ranks of Sales and was recently promoted to the role of Director of Sales and has primary day-to-day responsibility for the development and implementation of the sales strategy. Ivan has 14 years of experience in Hospitality Technologies gaining invaluable exposure to Hospitality solutions. Prior to joining McLaren in 2009 Ivan was employed by FCS Computer Systems, a company providing a range of voice & data solutions to the hospitality industries. Starting off as a Professional Service Engineer he was quickly promoted to Professional Service Manager then Corporate Project Manager. In his current role as Senior Manager Technical Services, Ivan manages the technical team ensuring projects are completed successfully & quality support is provided to the customers. Ivan has worked on some major projects such as Marina Bay Sands, Venetian Macau & Resort World Singapore. He holds diverse qualifications including MCP Certification, Microsoft SQL certification & A+ Certified Technicians well as a Diploma in Business Studies. Celine joined McLaren in 2010 and was promoted to Project and Product Manager in October 2015. Celine works closely with the Director or Projects and Implementations to lead the planning and implementation of McLaren projects across all McLaren products. Celine has over 15 years of Hospitality and Tourism industry experience in Customer Service and Operations. After graduating with a Certificate in Travel Agency Operations, Celine began her career as a Travel Consultant before progressing her way into the hospitality sector. In 2004, Celine joined the iconic Hilton Singapore as Assistant Manager and Hilton Honors Manager, where she was responsible for encouraging the highest possible standards of customer service from her team and ensuring a smooth day-to-day operation, and she has replicated those high standards to McLaren and its customers. Sarah has seven years of experience in the hospitality industry at some high-profile properties including the Fullerton and the Pan Pacific Singapore. This acts as invaluable experience for her to draw upon as she further develops her career at McLaren. Starting with McLaren in August 2012 as Hospitality Consultant, Sarah used her experience to educate and influence hotels with operational best practice process she has learnt from working in the hotel environment.